If you’re anything like me, you’re kind of a big fan of this whole palm print mania that’s going around. Maybe it’s because of summer or just the general longing to be someplace tropical, but I’m inexplicably drawn to those bright green leaves. That said (again, if you’re anything like me) you also are on a tight budget, and don’t have the luxury of splurging on designer printed wallpaper, artwork and pillows. 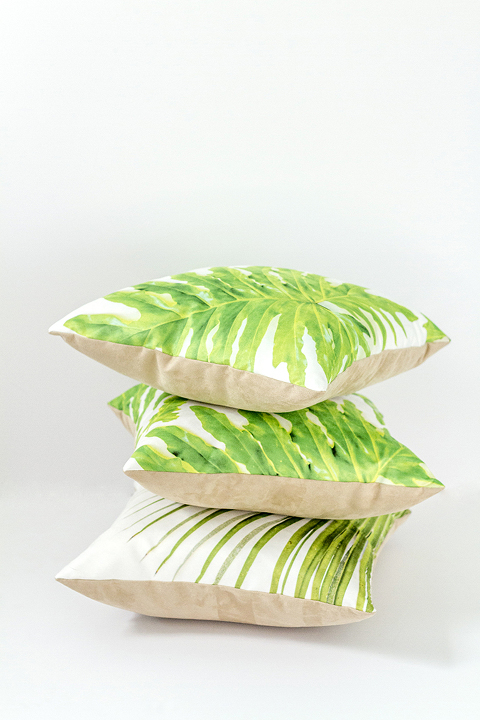 Not one to be trumped by something as silly as money, I got creative with my camera, a couple of live palm tree leaves and the custom pillow printing process at SnapBox. The process behind this idea actually couldn’t have been easier once I had my photographs in hand (more on that in a moment). 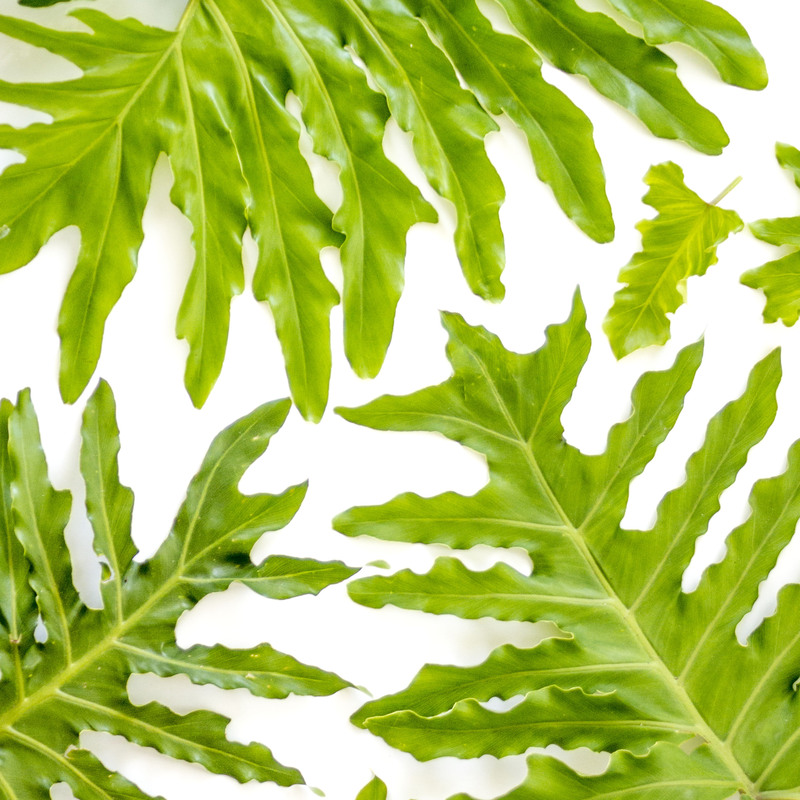 I just logged into my Snapbox account, uploaded three photos of palm leaves that I snapped while at the beach last month and then added the cropped images to the 18×18 fluffy forms. A week later, my totally personalized and custom faux suede pillows arrived at my door step. I’m admittedly a little obsessed with how they turned out. The soft texture of the pillows makes them my new favorite cuddle buddies, and I love that they also are an ode to happy memories spent at the beach. 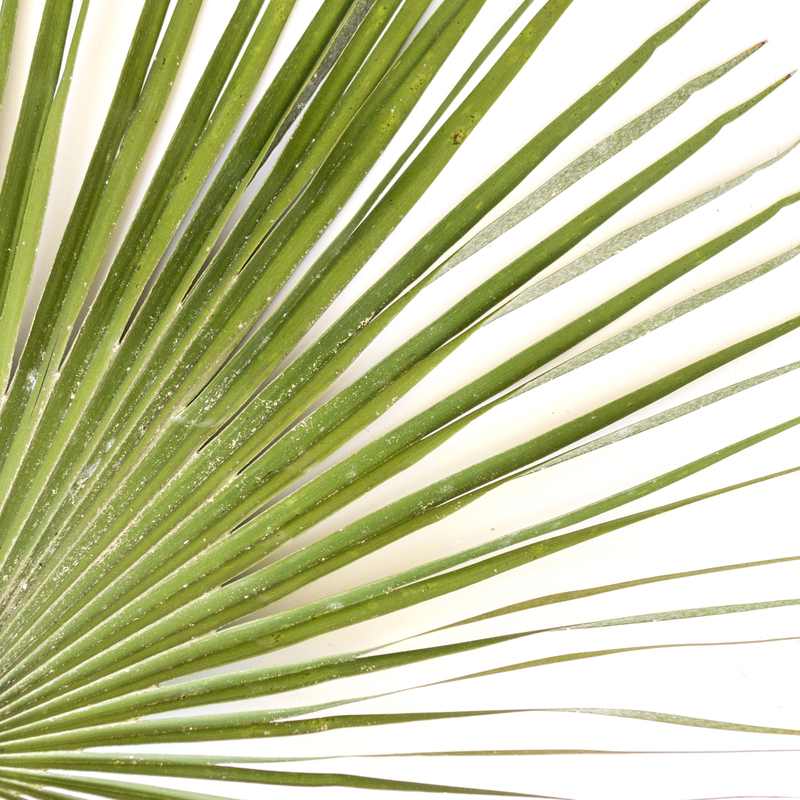 Funny story about those memories though—getting photographs of palm leaves was a little harder than I had anticipated. I’m paranoid by nature, and was worried that I’d get arrested (by whom—the palm tree protection society? I’m not sure) so I made my sister go out on multiple stealth missions with me on our bikes to try to find an inconspicuous palm tree or tropical bush to steal a leaf or two from. 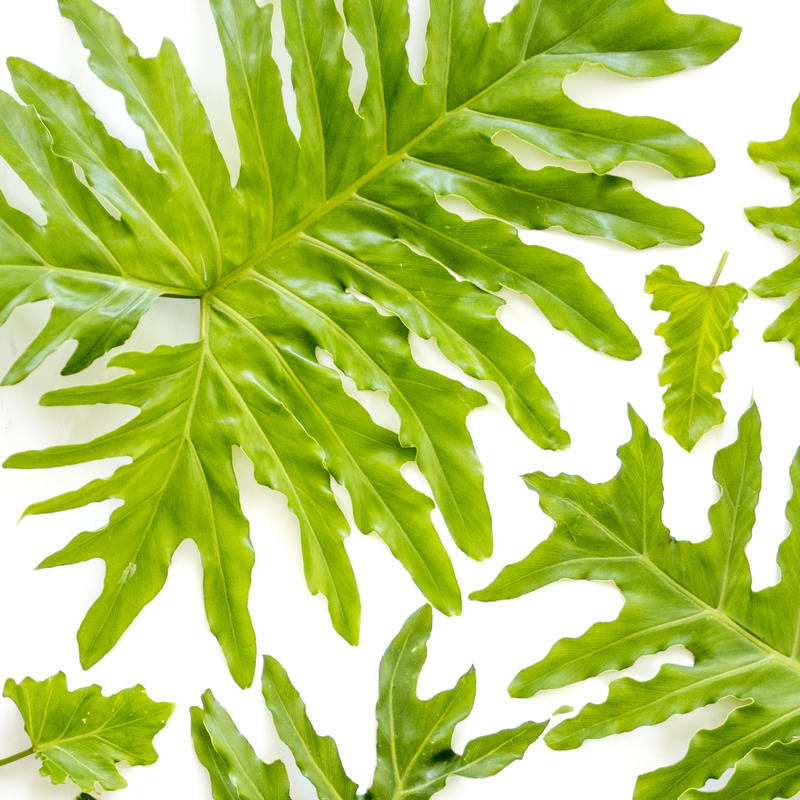 At one point, we went out with a kitchen knife to saw a leaf off, and I ended up climbing a hill just off the sidewalk to get to a prime plant. Just as I finished, I turned around with both the knife and severed palm leaf accidentally held high just as a family of four biked by, their eyes wide at my peculiar stance. 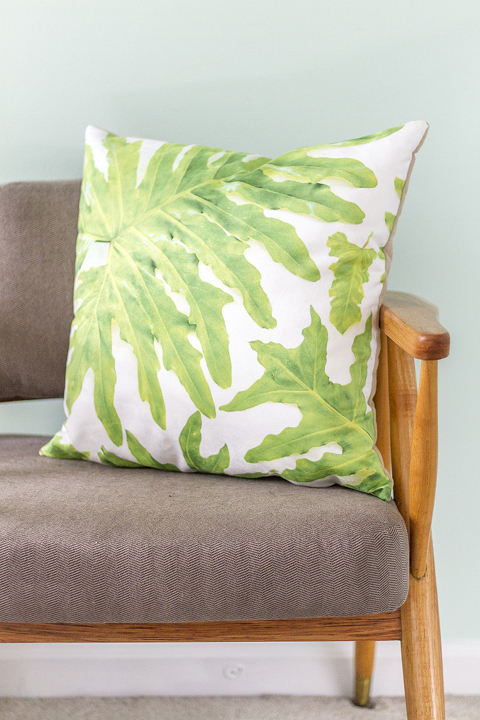 I was mortified (and stealthy I am not), but here we are with custom palm print pillows in our living room. It was all worth it. As I mentioned, I’m offering all three of the photos that I snapped for this project as free downloads. All you need to do is download them here—one, two, three—and then add them to your SnapBox account and cart. 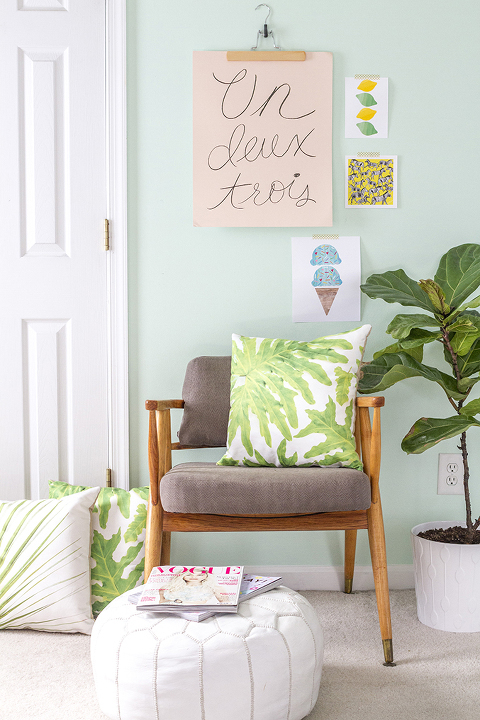 And in case you’re looking to get into the palm print trend yourself with even more creative custom printing methods, click through to my friend Sarah’s blog where she transformed still life botanical photos into Large Scale Banana Leaf Prints. 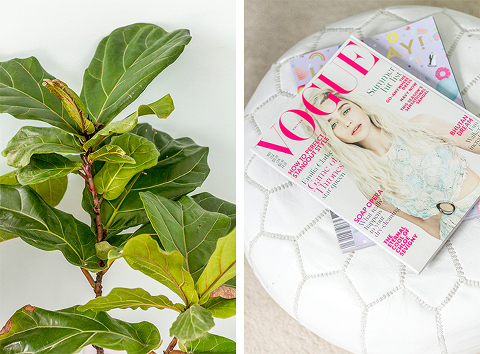 And then to continue the fun, my pal Rachel put together a DIY No-Sew Pom Pom Pillow using a palm print Instagram she snapped. What would you make with a palm print photo? Now through 6/22, save 25% off your next purchase (and get free shipping, too! )—no coupon code required. Choose a gift for dad before it’s too late by clicking through to the SnapBox collections.